A dark wave of deep reds, muted golds and ink blues descended upon the audience of Sabyasachi Mukherjee’s Autumn/Winter 15 Couture show. Set to a haunting piano score, exquisite traditional hand worked sarees, bandhgalas, Nehru jackets and sherwanis paired with modern separates made their way through a set best described as a haunted house, strewn with cobwebs and creaky doors. But the true spirit of Sabyasachi’s collection lies in his unprecedented artistry. Hand embroidered surfaces so intricate, almost no fabric is seen. From lining to shell, every square inch has been touched by an artisan’s hand on an average of 325 hours per garment. Entitled “Bater,” in reference to birds of prey, the spirit of the collection is dark, dangerous and predatory. 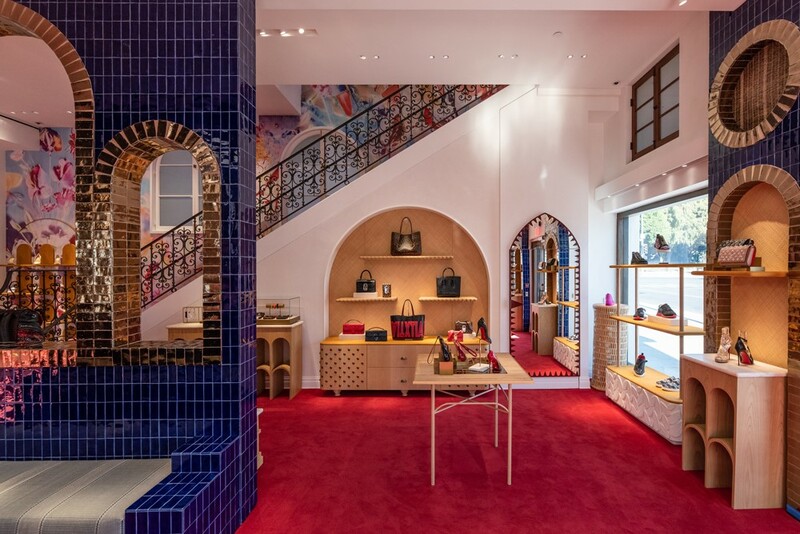 It was at the brand’s flagship boutique in Kala Ghoda that Christian and Sabyasachi first discussed the collaboration that culminated with this season’s Amazon India Couture Week (AICW). "The collaboration is the result of great creative chemistry. 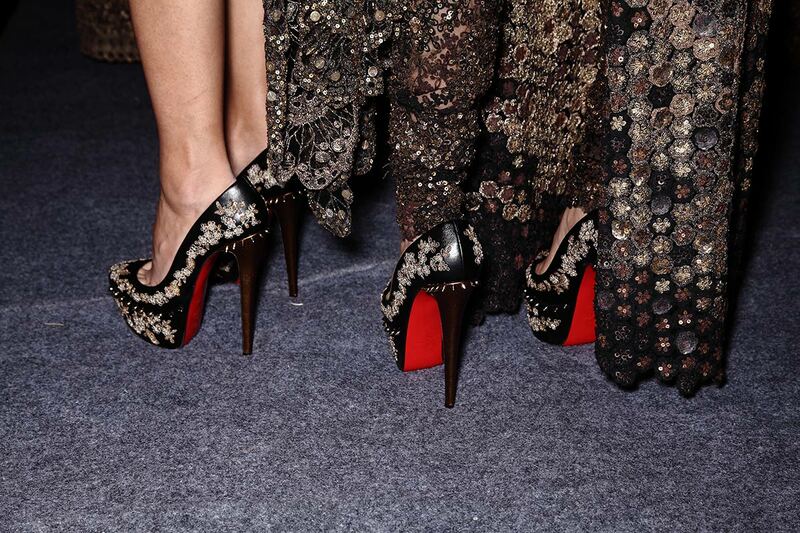 It is a beautiful amalgamation - between Christian Louboutin and Sabyasachi design team between Paris and India,” said Sabyasachi of the 80 pairs of shoes created for the show. For the collection Christian called on the iconic Devibroda, which pays homage to Sita Devi of Baroda, and was constructed with the quintessential Sabyasachi embroidery of acid dyed burnt sequins and tea dyed cotton threads. Each sequin is hand placed and embellished with French knots to create an organic fringe. The sky-high Victoria heel has been embellished with two of Sabyasachi's strongest and most iconic embroidery styles - burnt zardozi and vintage Parsi gara. 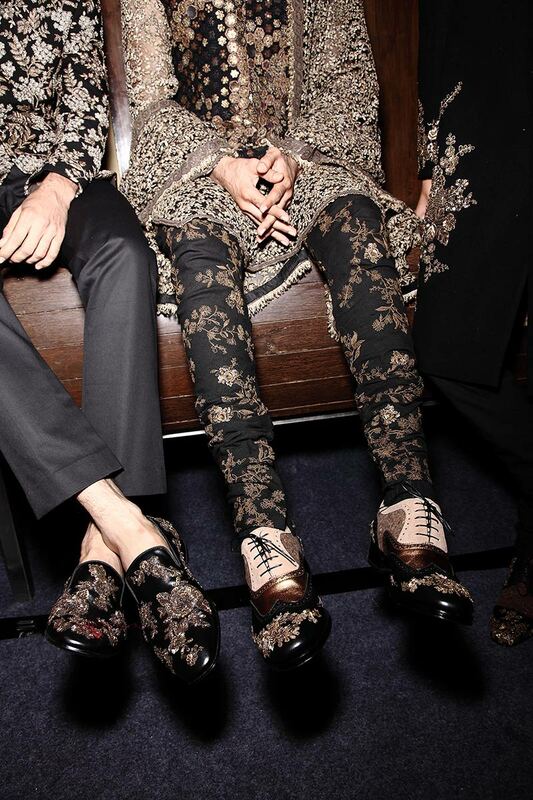 For men, Sabyasachi wanted to represent the baroque audacity of India's erstwhile Maharajas with a European twist. The Education style created for the collection exhibits Sabyasachi's trademark, a juxtaposition of opposing textures, patchwork and antique embroidery. Dandelion was fastened out of the finest quality of parsi gara and adorned with motifs of the paradise flycatcher bird harkening back to the collection’s feathered origins. The collaboration with Sabyasachi further bonds Christian to India— a land that serves as a part-time home and constant source of inspiration for him and the brand.